The 1960s launched an era in Latin America tainted by the blood of innocent citizens and haunted by dictatorial military rule. During this period, a series of right-wing governments throughout Latin America crushed the opposition through public repression, human rights abuses and, in several instances, no-hold civil wars. Military forces, often trained and supplied by the United States, became the instrument of choice to enforce Cold War-driven national stability. Inexplicably, during subsequent decades, when it came to dictatorial rule in the Americas, Ecuador proved to be an exception. Although Ecuador did undergo rule by a military junta, it was popularly referred to as the dictablanda, or “soft dictatorship,” which was neither a democratic institution nor an administration that committed grievous human rights violations by challenging the constitutional rights of Ecuadorian citizens. Its history indicates that the Ecuadorian armed forces have proven to be the only institutionally constant democratic component in an otherwise unstable country. The military thus uniquely has been called upon to act as a monitor of continuismo—promoting democratic behavior by acting as a constitutional guarantor, rather than a usurper of power. For much of the 20th Century, the Ecuadorian military traditionally served as a defender of the national domain. In the past 30 years, the military served in such a manner on three occasions after Ecuador’s earlier partition from the Gran Colombia in 1830. The first confrontation began on July 5, 1941 when two Peruvian forces invaded Ecuador’s Amazon territory and, due to Quito’s lack of adequate military intelligence at the time, succeeded in conquering a large part of the Amazonian region. The conflict ended in an untenable truce with the signing of the Protocol of Rio de Janeiro in February of 1942. Partially as a response to the escalation of conflict with Peru, after civilian rule was restored to Ecuador in 1979, the country’s armed forces now “dedicated their attention towards strict military training and the institutionalization of the military as a whole,” according to a high ranking Ecuadorian military officer. By the time that the subsequent 1995 War of Alto Cenepa began, the Ecuadorian military had managed to build a strong, effective, and efficient military force. In January 1995, Ecuadorian Special Forces conducted a surprise attack on a Peruvian base built on Ecuadorian territory and drove the Peruvians back in a fierce battle. The combat continued until February, when a cease-fire agreement was signed, with both sides claiming victory. When Ecuadorian President Jamil Mahuad and Peruvian President Alberto Fuijimori signed the Presidential Act Peace Treaty on October 26, 1998, they officially delineated the borders between Peru and Ecuador and put an end to long-standing tensions between the two countries. As ill feelings cooled and both sides grew accustomed to the new reign of peace along their borders, the military appeared to have entered into a tension-free period; however, this lack of tension was not destined to be the case. Enjoying what seemed to be a period of tranquility, Ecuador failed to adequately train and equip its military in order to counter newer threats being mounted on its northern border with Colombia, until March 1, 2008 when a unit of the Colombian armed forces disrupted its border with Ecuador by launching an air and land attack aimed at eliminating a secret FARC base on Ecuadorian territory. The attack resulted in the death of the guerrilla’s second higher commander, Raúl Reyes. Although the Colombian sortie was successful, the attack—which was carried out in Ecuador’s northern region, in Angostura —was a clear violation of the latter’s sovereignty. Immediately following the incident, Ecuador deployed 3,200 troops along its northern border and recalled its ambassador from Bogotá. Formal relations between Ecuador and Colombia had officially reached a state of near belligerence, uncharacteristic of the historic relationship shared by the two countries. After an apology from President Uribe, relations between Ecuador and Colombia were gradually restored, but Ecuadorian troops remained vigilant. “The attack served as an awakening to our armed forces,” the military official said. Although the attack was not by any stretch an attempt at a prolonged invasion, it was an example of Colombia’s domestic strategies being inappropriately exercised outside its borders. 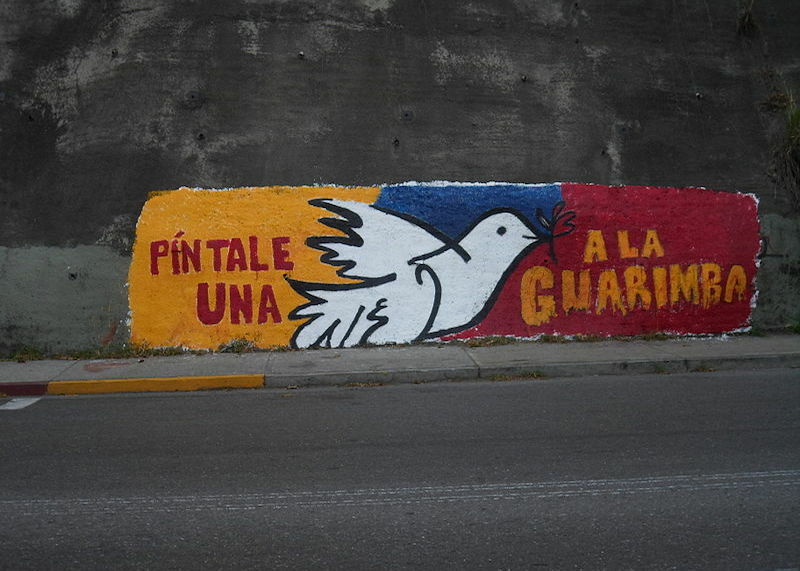 Now, two years later, Ecuador and Colombia still teeter on the edge of turbulent relations. Ecuador has now fully realized that the FARC poses a discordant problem, and while Quito is not likely to sign a treaty with Washington redolent of Plan Colombia, it will continue to use its armed forces to defend its territory from any threat against its national security. Contrary to popular belief, the armed forces across Latin America do not all serve the same purpose. Each military establishment is unique, given their own historical background. Ecuador’s military history does not include brutal military juntas but instead its shown to be an omnipresent force keen on the nation’s development. In order to analyze the role of the Ecuadorian military, one must first look at the country’s recent socio-economic breakdown. In 2008, approximately 35% of the population lived under the poverty line. The poor are heavily concentrated in underdeveloped pockets across the nation, specifically in the rural areas. For years, the non-responsive rule of oligarchic governments have steered official attention as well as funding for social programs to the large cities. For instance, during the petroleum boom of the 1970s, most of the government revenue was used for the modernization of Quito, while the underdeveloped Amazon region merely served to pump out black gold. This lack of an effective governmental presence in much of the country left a vacuum and became a source of governmental instability. However, since the military was positioned in Ecuador’s most remote regions for defense purposes, it became a constant point of authority that enabled military units to fill the power vacuums as well as attend to social necessities. According to the military official, because the military was an omnipresent force in Ecuador, particularly in its outlying regions, it has had a fundamental part in the nation’s development; “where there wasn’t a doctor, there was a medic, where there wasn’t a teacher, there was a soldier prepared to serve as an educator.” Additionally, the obligatory military service (which was eliminated in 2007) gave many poor young men an opportunity for obtaining food, housing, and a career. Thus, after joining the military service at the age of 18, former soldiers would “leave as new men with ideals and intentions to better their local communities,” observed the military officer. The military ultimately aided, and continues to aid, in developing the local economies of Ecuador’s poorest regions. In the face of such a politically tumultuous history, the military has become renowned for its service and a steady institutional backbone ready to unconditionally support the country’s development and defenses. At the end of the Cold War, the military continued its role as a constitutional guarantor, with its most recent appearances taking place in 2000 and 2005. When Jamil Mahuad was elected President in 1998, he enacted unsound economic policies, which caused the largest banking crisis in Ecuador’s history. The loss of deposits, credit, and subsequent effect on employment spurred accusations of government corruption and led to mass demonstrations. At that point, “due to the massive social deficiency, the military sympathized with the people and supported their calls for economic and social stability,” recalls the officer—something that the elected government of Mahuad could not achieve. Eventually, the military, alongside leaders of the CONAIE, the country’s national indigenous organization, sponsored a junta which ousted Mahuad, and in so doing etched in Latin American history yet another coup d’état. However, “according to statements by military junta leaders at the time of the [January 2000] coup, they had a predetermined plan to remain in power for a brief period of up to six months,” states Dr. Miah Jaskoski of the Naval Postgraduate School. 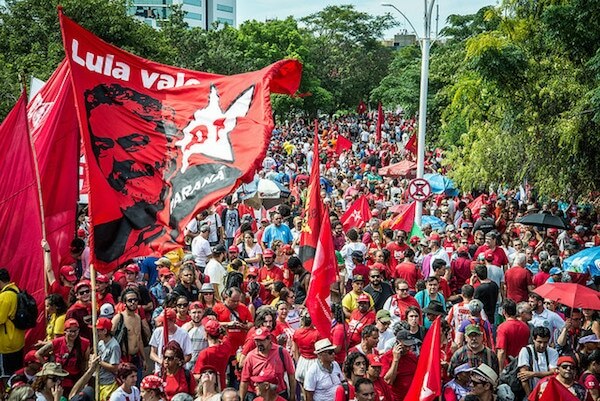 In fact, the 2000 junta concluded its presence within a few hours with the swearing in of Vice-President Gustavo Noboa on January 22. Due to Gutierrez’s increasingly blatant undermining of the Constitution and arrogant acts of corruption, the public began to protest. At this point Joint Chief of Staff Admiral Victor Hugo Rosero publicly stated that the military had revoked support for the president. This further spurred public outcries, which resulted in the final ousting of Gutierrez. “The good thing was that democracy was reestablished within a few days,” observed the high ranking official in reference to the accession of Vice-President Alfredo Palacio to the presidency, who would hold power until the next elections in 2006. Prior to Correa’s taking office in 2007, the Ecuadorian Congress, alongside the Ministry of Defense (MoD), had begun to create an administrative-political model that would restructure the armed forces. According to an article by General Oswaldo Jarrín, ex-Ecuadorian Minister of Defense, the model had two objectives: “(1) To strengthen institutionalization and the professionalism of the armed forces and, (2) To embed a legal base and doctrine within the military.” This was accomplished through a two-step plan. Step one included the creation of the “Professional Morals and Democratic Culture Improvement Plan,” put forth by the Ecuadorian Military Academy and the MoD to broaden the armed forces’ education on distinct subjects, such as defense of the constitution without overriding democratic principles. Once all the military branches incorporated these educational laws, the next step dealt with the personal well-being of each member of the armed forces. It sought to provide a better lifestyle to each soldier by enacting: extension of the retirement age by five years, the establishment of social security and healthcare services, and an increase in salaries of up to 22.5%. In January 2007, the National Congress voted on and passed the new laws to institutionalize the armed forces in an attempt to completely nullify the possibility of a golpe, while aiming to educate the armed forces in the democratic nature of the country’s military. Currently, under the Correa presidency, there has been increasing civilian oversight over the armed forces. The 2007 Organic Defense Laws have set forth a worthy precedent; however, as Ecuador continues to struggle with issues both domestic and external, the role of the military and its relationship with the government still have not become crystal clear. Like any other administration that has held the Ecuadorian presidency, Correa faces several challenges, including increasing levels of crime. In order to effectively address these issues, Correa has proposed Plan Ecuador as a method to “maintain the country’s security and sovereignty.” Thus far, Plan Ecuador has received about $43 million via international aid packages, only a fraction of the $130 million he views as being necessary. Moreover, the plan has been faulted for its lack of overall specificity as to how to accomplish its goals. It is also beset by a feeble annual economic growth rate of barely 0.4%. This dismal figure has been compounded by a number of economic policies enacted by the President that have created a lack of confidence within the domestic and international investing community. Among the seven concepts presented in Plan Ecuador (for more details consult http://www.coha.org/plan-ecuador-practical-ideas-or-lofty-ideals), there is some discussion of establishing stronger borders and ending narcotics traffic in the region. These issues, which pertain primarily to the armed forces, must be addressed with an adequate defense budget. The Ecuadorian military receives the equivalent of only 0.9% of GDP for defense spending. Moreover, the war material on which the money is spent often proves to be inferior. Case in point is the purchase of the Indian DHRUV helicopters, one of which crashed on its maiden flight. Additionally, there was a 50% cutback on the purchasing of Brazilian Super Tucano light-attack aircraft to combat drug trafficking, further limiting the equipment available to conduct an efficient defense of the sovereign national territory and to effectively participate in the war on drugs. Ecuador’s arrangements with major trade partner and long-time friend, the United States, have suffered several upsets in recent years. The termination of the U.S. Forward Operating Location (FOL) base at Manta will take a significant toll on Ecuador’s defense capabilities. In November 2009, President Correa remarked that the defense agreement with the U.S. would not be signed again unless the U.S. allowed the construction of an Ecuadorian base in Miami. The signing of the defense agreement with Ecuador in 1999 had been carried out under very questionable legal circumstances on the Ecuadorian end. “According to Ecuadorian academics who studied the 1999 agreement, it seemed to be last-minute and skipped a congressional vote,” states Dr. Jaskoski. Thus Correa’s assertion that the base technically was a violation of sovereign territory may be correct, however, from a strategic standpoint, the main flaw in the contract perhaps was that it lacked reciprocity, similar to the document which the U.S. had signed with Brazil on April 12, 2010. In the latter agreement, the nation of origin contractually owns the base, but allows the U.S. to operate in Brazil in return for the transfer of equipment, intelligence, and training. Correa has resolved that for Ecuador, the nation itself would spearhead this task with little outside support. The military “will follow the foreign policy put forth by [our] Commander in Chief,” states the Ecuadorian officer. Yet it will still be increasingly difficult for Ecuador to fulfill Plan Ecuador and combat illegal activity on the borders without aid from military resources of more powerful nations. In spite of the U.S.’ dismantling of the Manta FOL, the two countries still maintain fairly congenial relations, compared to Bolivia and Venezuela. Although this relationship is weaker than it has been in previous years, the U.S. continues to donate equipment to Ecuador ($1.2 million in the past year) while helping it with military exercises and intelligence. However, the willingness of Washington to provide aid is not being utilized to its fullest capacity, and if the U.S. and Ecuador do not sign the ATPDEA, it will likely exact some toll on Ecuador’s national security budget and economy of Ecuador. For many years, the armed forces have demonstrated a capacity to remain in the shadows of politics, while still upholding traditional values of territorial defense and loyalty to the constitution. The impairment of Ecuador’s democratic institutions, lasting from the early 1960s through 1979, did not witness dirty wars, yet, surprisingly enough, Ecuador has remained among the countries in Latin America where the now almost obsolete practice of military coups may erupt out of dormancy as a result of mass social demands for regime change. This practice is distinct from other coup-minded militaries, such as that of Honduras, where after the coup had transpired, the golpistas proved to be both corrupt and violent. Contrarily, Ecuador’s military mission is solely to ensure the institution and tradition of democracy, as well as the maintenance of the country’s national security. Correa’s new defense policies have established a set of guidelines for the military to follow so as to become an institution truly dedicated to democratic principles. However, the laws and regulations have failed to take into consideration two vital elements essential to determining the current status and future evolution of the armed forces: its tumultuous political history, and Ecuador’s relatively non-violent, relatively benign, recent history. Currently, Correa is attempting to enact laws which present a greater governmental presence in areas such as education and media. Both measures are viewed as controversial and are under close scrutiny by the international community. Furthermore, there is shrinking investor confidence in the Ecuadorian economy, which too has attracted increased international scrutiny of Correa’s goals and tactics. Meanwhile, although the role of the military is not a function of the democratic order, until Ecuador experiences stability in the presidency and in the legislative process, the role of the military will not only be defined by the enforcement of the constitution but also by its upholding of democratic norms and social stability. This delicate balancing act has created an anomaly in the Ecuadorian military as it soldiers on in its historic role of democracy’s paladin.